Zinggia! 2019 Zinggia Ohio Art Scholarship Submissions - Zinggia! Alison & Jason on What’s Wrong with Being a Young Aspiring Artist? We’ll review all submissions this month and contact the winner by April 30, 2019. 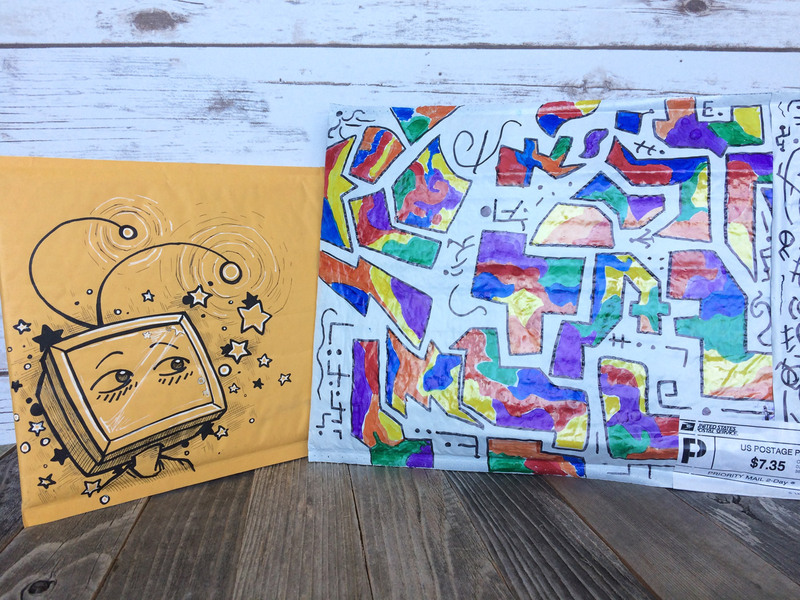 Here’s a closer look at some of the artsy-looking envelopes we got this year! Look at all those fun animals! You assume that all artists and students are procrastinators. You assume wrong! Zinggia Ohio Art Scholarship deadline is next week! What's Wrong with Being a Young Aspiring Artist? 2018 Zinggia Ohio Art Scholarship deadline in a few weeks!